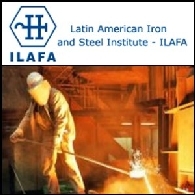 The Latin American Iron and Steel Institute (ILAFA) are proud to present the Latin American Iron and Steel Congress 2010, from the 24th-26th of October. The Congress will be held at the Hilton Hotel Buenos Aires between 9am and 4pm, with city tours and location visits to see and a beautiful luncheon at the Coleccion Restaurant which specialises in Mediterranean cuisine. After the event people can enjoy the city of Buenos Aires and its hot tourist spots such as the Buenos Aires City Tour, Fortabat Museum and Colon Theatre and a visit to the PROA Foundation.